Harvey E. Goldberg is Emeritus professor and Sarah Allen Shaine Chair in Sociology and Anthropology at The Hebrew University of Jerusalem. He has been a Visiting Lecturer at the Ecole des Hautes Etudes en Science Sociale and a Fellow at the Oxford Centre for Hebrew and Jewish Studies. Steven M. Cohen is Research Professor of Jewish Social Policy at Hebrew Union College-Jewish Institute of Religion and Director of the Berman Jewish Policy Archive at NYU Wagner. He has served as Professor at The Melton Centre for Jewish Education at The Hebrew University of Jerusalem. 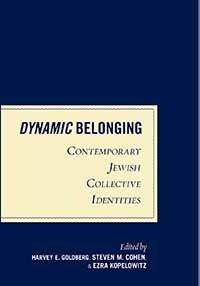 He has written or edited a dozen books and hundreds of scholarly articles on such issues as Jewish community, Jewish identity, and Jewish education. Ezra Kopelowitz is a sociologist specializing in Israel-Diaspora relations and issues of Jewish identity, education, and religion in Israel and the United States. Ezra is CEO of Research Success Technologies Ltd. (http://www.researchsuccess.com), and a founding member of the Center for Jewish Peoplehood Education. From 2000-2003, Kopelowitz served as Director of Research Activities for the Department of Jewish Education of the Jewish Agency for Israel, and in 2004 he was a Fellow at the Institute for Advanced Studiesat The Hebrew University. Chapter 2. Conceptual and Pragmatic Aspects of Binarism: Examples from Israeli Society. Response to Section I: Rethinking Categories and Challenging Futures.